New Year's Eve means lots of private parties, eating out at an upscale restaurant, and bar-hopping or settling in at your favorite pub. 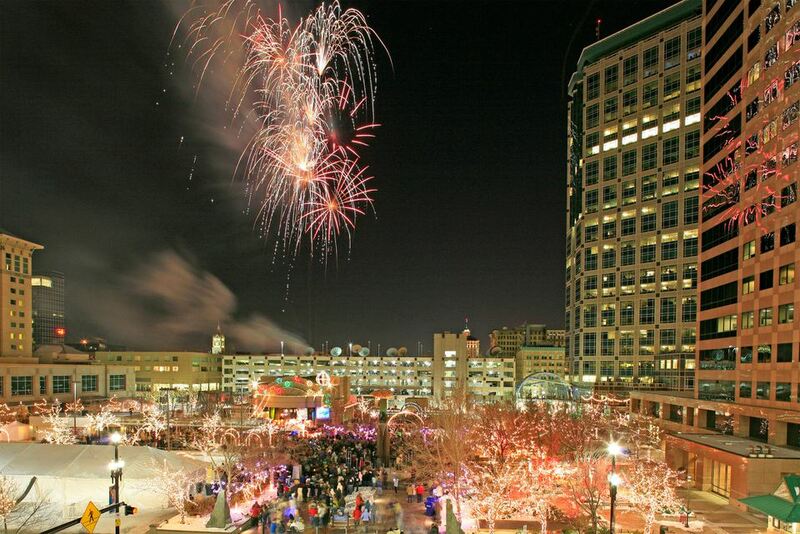 But if you are looking for something a bit more memorable, peruse this list of some of the best options for New Year's Eve celebrations to ring out 2018 and say hello to 2019 in the Salt Lake City area. Some events are free and some are family-friendly so there will be something for everyone this New Year's Eve in the Salt Lake City area. Snowbird's New Year's Eve Torchlight Parade and Fireworks is a great way for you and your friends and family to kick-off 2019. Since Snowbird is about 30 miles from Salt Lake City, make an overnighter of it and stay at one of the many lodging options. The fun starts at 6 p.m. with the Torchlight Parade and fireworks at 6:30. Warm up by the fire pits with some hot cocoa from 6 to 7 p.m. Have dinner at one of Sunbird's restaurants and then retire to the Wildflower Lounge from 9 p.m. to 12:30 p.m. for those Champagne toasts. It’s New Year’s Eve with Jamband Mokie at The Depot starting at 8 p.m. It’s going to be R.I.P. for 2018 at this over-21 party. General admission tickets are for standing room only. Premium seating tickets are available until sold out. The Depot is a 1,200-person-capacity live music venue. Project X Party is one huge New Year's Eve celebration. It's happening at Rockwell at the Complex starting at 8 p.m. on the big night. Party with live entertainment and five DJs to emcee the proceedings. There will be all kinds of drops: ball, money, and confetti. Tickets are just $10, so it's easy for all to afford. The 18th annual White Ball is happening at Eventos Reception Center at 3485 Main Street in SLC. Celebrate New Year's Eve from 8 p.m. to 3 a.m. The night starts out with an international buffet dinner and continues with dancing, surprises, and the ringing in of 2019 in style. It's a traditional New Year's Eve party and families are welcomed. Tickets are $75 apiece for this festive party. If you like to get dressed to the nines and party like celebrities on New Year's Eve, get yourself to Sky in downtown Salt Lake City for a black-tie countdown to midnight. DJ Karma from Las Vegas will be running the show, and you can bet it will be one to remember. Tickets are $25 apiece in advance and $45 on New Year's Eve. The party starts at 9 p.m. and goes to the wee hours. At the Sheraton SLC, enjoy a sense of mystery at the masquerade ball. There will be a cocktail reception, dinner, and dancing. The cash bar will be open for five hours. You'll also be entertained with a balloon drop, door prizes, and a photo booth. Toast 2019 with Champagne and take off your mask at midnight. Wear your glitziest cocktail attire. Give 2018 its Last Hurrah at the Gateway starting at 8 p.m. on New Year's Eve. There will be live entertainment on the main stage. Stop into the Speakeasy Lounge (over 21, no cover) for a little warmup and an adult beverage and entertainment. The kids can hang in the Game Room until it's time for fireworks at midnight. And it's all free, except for drinks in the lounge, thanks to community sponsors. Head up to Solitude Mountain Resort where at dusk at the Last Chance Lodge there will be a magic show for children. Then, at 6 p.m. a synchronized team with torches will ski down the mountain. The event is free. Food and drink available for purchase. Adults will enjoy hanging out at the 21 only Thirsty Squirrel pub. The resort offers lodging packages and special deals. It's the last night for ZooLights and on New Year's Eve, they'll have an early countdown at 9 p.m. especially for the kids and adults who don't want to stay up late. Kids are given a noise maker and can count down to 2019 with a lighted countdown display to guide them. The magic of the Temple Square lights remains through New Year's Eve. The lights are on every night through January 2nd and are turned on at dusk. An early dinner at The Roof restaurant would give you an opportunity to look down on the sparkling lights in the square. Park City's Deer Valley puts on a torchlight parade at dusk. Before that, at about 5:30, the resort hosts a children's "glow parade." Then, watch the Big Stick ski run on Bald Eagle Mountain, behind the Snow Park Lodge to see the skiers with their lighted torches make their way down the mountain. Free hot chocolate and cookies will warm you up on the Plaza from 5:30 to 7:30 p.m.
Family-friendly activities start at 3 p.m. on New Year's Eve with a magician, juggler and balloon artist. Meet the local mascot, Murdock. There will be DJ music before the special NYE family dinner at The Cabin Restaurant. After dinner, you can take a carriage ride. The quiet will be broken by a spectacular fireworks show and then by 8 p.m. the adults will have their turn to celebrate with a gala dinner, live music, and favors to ring in 2019. Reservations needed for the dinner events. For those over 21, there is a show featuring Latrice Royale, drag queen performer and reality television personality from RuPaul's Drag Race at 9 p.m. at the Metro Music Hall. Admission is $20 and for $40 you can enjoy a "meet and greet" with Latrice complete with a souvenir, and an opportunity to have your photo taken with the star. Enjoy music by Sammy Brue, Timmy the Teeth and Branson Anderson at Kilby Court. Sammy Brue is a young singer-songwriter from Utah. He has been called an "Americana prodigy" by Rolling Stone. The party starts at 7 p.m. ​Kilby Court is an all-ages venue. There are some fun Karaoke bars in the Salt Lake City area. The SLC Visitors Bureau welcomes visitors to try their hand at singing on New Year's Eve at any of a number of Karaoke bars. They suggest sports bars like Lumpy's, in Sugar House and Downtown, ​and The Tavernacle Social Club in Downtown where there are dueling pianos. Call ahead to make sure they are having Karaoke on New Year's Eve. It's the annual Park City Black and White Masquerade party. The event features celeb DJ, Ross One. The doors open at 8 p.m. at the Park City Live music venue, 427 Main Street in Park City. Tickets run $59 and $115.